If your home has been on the market for a while now, yet it seems like no one is interested in buying it, you may have to reevaluate your listing. Even if you think your home is a great option for anyone, there may be some issues with the way you're advertising it. To help you get your home sold, check out these tips. When selling a home, you want to be sure that potential home buyers know that your home is on the market. This means employing multiple marketing strategies so that your home gets the exposure it needs to draw in a crowd. If you've only listed your home on some online forums, you may need to do more to ensure it gets noticed. Use traditional marketing strategies along with newer, more high tech strategies. Start by listing your home online, advertising it on social media, and posting it on real estate forums. 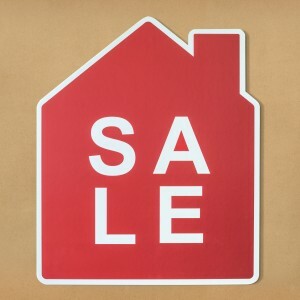 Along with your online efforts, draw attention to it the traditional way by putting a sign on your lawn. Post flyers around town, on community boards, and ask your friends and family to help you spread the word. Since most people start their home shopping online, the photos you use to advertise your home are crucial. If your current listing photos are dark, limited to a couple spaces in the home, or simply don't show your home at its best, chances are very few people will be interested, if any. Because your photos have so much power, taking the best photos of your home is an absolute must. Look up some useful tips on how to take great home photos before jumping into it or hire a professional photographer so that you know you'll have great images of your home. Remember to clean and stage your home before starting to take any photos. Nothing can scare away potential buyers quite as fast as asking too much for your home. While some buyers may take a risk and offer less than what you're asking for, most will simply move on and look for something that fits their budget. Many sellers make the mistake of overpricing their home because of the sentimental value it carries, but this won't help you at all. To avoid overpricing your home, get to know how to determine the market value of a home and stick to this. If emotions are getting in the way, have your real estate agent help you set a fair price that will interest buyers. Whether you're buying or selling a home, title insurance in Fort Myers must be part of the deal. If you're not sure why title insurance is so important during a home transaction, contact Schutt Law. Give them a call at (239) 540-7007 to get all your title insurance questions answered. If you feel like all the power is in your hands because you're the seller, you may run into some issues getting your home sold. Being a seller does give you some power, but you'll also have to meet potential buyers halfway when it comes to certain aspects of the sale. For example, be flexible about when buyers can see the home. If you aren't accommodating to their schedules, your home may never get seen. It's also important that you understand that not everyone will offer the amount you're asking for, so learn how to deal with lowball offers and how to negotiate when a more reasonable offer gets made. An emotional attachment to your home may not make it easy to see the flaws in your home, but chances are they are there. Do your best to be honest about the condition of your home and inspect it through the perspective of a potential buyer. If there are things that need to be repaired, take care of some of these before even listing your home. Clean your home thoroughly, make the fixes it needs, and consider renovating certain aspects to make it more competitive in the market. While it is true that you can sell a home any time of the year, there are some seasons or months when selling is harder. Do your research to figure out when sales are slower in your area and avoid listing your home then. If you're not sure how to go about this, get help from your real estate agent so that you don't waste time or money trying to sell your home at the worst time of the year. The real estate world can be hard for someone with little experience. One thing you should get comfortable with whether you're buying or selling property is title insurance in Fort Myers. To learn more about why title insurance is so important, contact Schutt Law at (239) 540-7007.